Applegate Home Improvements - Conservatories, Windows and Doors. Applegate Home Improvements – Conservatories. Having a Conservatory is often the best way to enhance your home and get that living space you’ve always dreamed of. Design has come a long way since Conservatories first gained popularity with the Victorians, who used them to house their collections of tender plants. Now a conservatory can give us that holiday feeling, an area for entertaining, an extension to the kitchen, a playroom for the kids or an office space out of the way. Your conservatory can be exactly what you want it to be with help and information on hand from our expert advisors. Whatever you have in mind we promise that the result will be something you will enjoy for many years to come and your Conservatory will prove to be a practical and attractive extension to your existing abode. All our conservatories feature high standard uk roofing systems that comply with and have been tested by the UK Government backed approvals body, the BBA, who stated that these UK roofs have a life expectancy of 25 years. You can choose from a Polycarbonate roof or a Glass roof. The Polycarbonate comes in Clear, Opal, Bronze and Heat Guard and the Glass is Blue Active Self Clean. For more information on these please contact us here. We use the Ultraframe roof system. Ultraframe are the acknowledged international leaders in the design and manufacture of conservatory roofing systems – with an Ultraframe roof, you can be sure your conservatory roof will be robust, durable and long-lasting. Their roofing systems are designed in accordance with the highest engineering principles. For the windows and doors to your conservatory we use the popular Rehau profile. With the vast range of materials and components available it is possible to design and build conservatories to suit any house and budget. If you would like something out of the ordinary we have the capability to turn your dreams into reality. 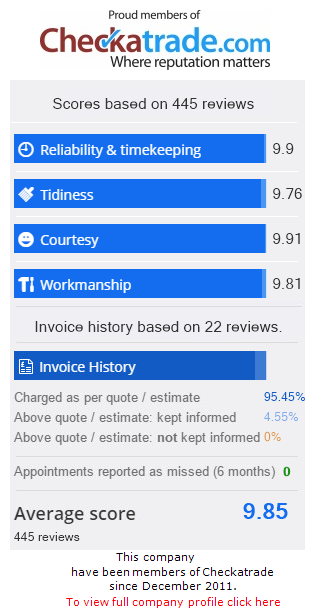 We are more than happy to give you a no obligation free quote on your conservatory, we’ve hundreds of happy customers throughout Hampshire, Surrey and Berkshire view our testimonials page to see some of the kind comments from some of our existing customers. Conservatory styles include: Georgian, Gable Fronted, P-Shaped, Coloured, Lean To, Edwardian, 3 Facet Victorian, Orangery, Double Hipped Edwardian. You will naturally want to spend some time deciding which style of conservatory suits your home. You will want it to feel like a natural extension of your home so your conservatory must be carefully planned, designed and manufactured specifically to your requirements. To guide you through your decision we’ll help every step of the way from planning permission (if required) to the finishing touches, like decorative panels, ridge crestings, finials, leaded lights and stained glass designs, all of which will help add value to your home. We use a top of the range CAD drawing system where we can design your bespoke Conservatory. A badly built conservatory is usually one that is also short on security. Our conservatory designs take security seriously. Our windows can be made with to and side openers or a combination of the two. All transoms, mullions, sashes and frames are reinforced where necessary with galvanised steel or aluminium, while thick profile walls and internal webs further ensure stability and excellent impact resistance. Internal and external gaskets contribute to our conservatory components severe weather rating. In the past conservatories were made of various soft and hardwood timbers. Associated with intense care and regular repair, conservatory maintenance was almost an expected part of ownership. Today development of PVC-U has changed all that, it will not split, warp, rot, bend or crack. Our conservatories all come with a 10-year guarantee and no deposit up front.